Professional sports fans know that they will suffer through their share of last-second heartaches, missed opportunities, and close calls that could have gone either way. Minnesota Twins fans are no exception. Some of the franchise's setbacks have occurred on the diamond. Some have taken place in the offseason. On at least one occasion, the worst moment of all unfolded far removed from the roar of the crowd. The Minnesota Twins set a franchise record for futility on Sept. 28, 1982, by losing their 98th game of season, a 3-0 setback to the Toronto Blue Jays. They finished the season at 60-102. Despite the presence of Kent Hrbek (.301 batting average, 23 home runs and 92 runs batted in, Gary Gaetti (25, 84), Gary Ward (.289, 28-91), and Tom Brunansky (20 home runs), the Twins managed to score only 657 runs as they sputtered and finally stalled at the bottom of the American League Western Division. The Twins' pitching staff struggled mightily all season long. Only two starters (Bobby Castillo, 13, and Brad Havens, 10) managed 10 victories or more. Bullpen "ace" Ron Davis saved 22 games, but his earned run average blew up to 4.42 after he had posted three consecutive years with the New York Yankees with an ERA of 2.95 or less. Every Major League organization bemoans an amateur draft choice that slipped through its fingers and achieved greatness with another team. The twinge of regret for the Twins is Steve Garvey. Garvey was drafted by the Twins in the third round of the amateur draft on June 7, 1966. Instead of inking a contract, Garvey went to Michigan State where he played football as a defensive back. When the Los Angeles Dodgers selected him in the secondary phase of the amateur draft on June 7, 1968, Garvey shed his shoulder pads for good. Garvey compiled a .341 batting average in the minors and made the big club in 1971. However, he wasn't an overnight sensation. Playing third base, Garvey was perceived as a bigger threat with his erratic throwing arm than with the bat. When he was finally shifted to first base as a part-timer in 1973, Garvey began putting the pieces together. He hit .304 in 114 games. It was breakout time for Garvey in 1974. Garvey was voted the National League's Most Valuable Player. He garnered 200 hits en route to a .312 batting average. He belted 21 home runs and had 111 runs batted in. He also won a Gold Glove, was named the All-Star Game's Most Valuable Player, and he excelled in both the National League playoffs and the World Series. Garvey finished his career in 1987 with the San Diego Padres. He has 2,599 hits and a career batting average, in addition to 272 home runs and 1,308 runs batted in. "The team without (Harmon Killebrew) is like dressing up for a formal affair with a white tie and tails and then wearing muddy shoes." That was teammate Earl Battey's take on Harmon Killebrew's importance to the Minnesota Twins in his prime. Unfortunately, it wasn't true of Killebrew at the age of 38. The Twins released him on Jan. 16, 1975, following four years of declining offensive productivity. Following his release by the Twins, Killebrew inked a contract with the Kansas City Royals, apparently unconvinced that his majestic power had dissipated. It took a .199 batting average, with just 14 homers and 44 runs batted in over 104 games to compel him to call it a career. Killebrew's Hall of Fame career featured 573 home runs and 1,584 runs batted. He had eight seasons of 41 or more home runs and he drove in more than 100 runs nine times. His power certainly proved Ossie Bluege's claim that Killebrew "hit line drives that put the opposition in jeopardy. And I don't mean infielders. I mean outfielders." Luis Tiant arrived in Minnesota with big hopes. He was part of a six-man swap on Dec. 10, 1969. He and Stan Williams were traded from the Cleveland Indians to the Twins in exchange for Dean Chance, Ted Uhlaender, Bob Miller and 25-year-old third baseman Graig Nettles. Waiting for him in Minnesota were the likes of Rod Carew, who won the American League batting title in 1969 (.332), home runs (40) and runs batted in (149) leader Harmon Killebrew, and Tony Oliva, the American League leader in and hits (197) and doubles (39). The move liked look like a stroke of genius as the Twins rolled to a 29-12 record and Tiant moved out to a 6-0 mark in 1970. It was that sixth start against Milwaukee in which Tiant felt a sharp, sudden twinge in his shoulder. Three days later, he was unable to throw the ball more than 10 feet. His injuy was diagnosed as a fractured scapula. He tried to come back later in the season, but lost three of four decisions. Everybody thought Tiant had reached the end of the line after a poor showing during 1971 spring training, and he was given his unconditional release on Mar. 31, 1971. Tiant struggled with Boston in 1971, winning just one of eight starts. From 1972 to 1978, though, Tiant was one of the most dominant starters in the American League, winning 121 and losing 74. You can't convince Twins fans that, given the measure of his success early in his career, Tony Oliva wasn't on a collision course with the Hall-of-Fame. Sadly, Oliva's career was derailed on June 29, 1971, as he severely injured his knee diving for a ball hit by Oakland's Joe Rudi. It wasn't the first injury he had suffered to his knees, but it was the death blow as far as his career was concerned. Oliva, who was hitting .375 at the time, nevertheless limped to his third batting crown that year with a .337 batting average. Oliva missed all but 18 games of the 1972 season. The following year, Oliva assumed the role of designated hitter. He never returned to the outfield, and he retired in 1976 at the age of 37. It's often said that it's difficult to beat for a team to beat the same opponent three times in one season. It proved impossible for the Minnesota Twins to defeat Los Angeles ace Sandy Koufax more than once. Koufax, who fashioned a 26-8 regular season mark with a 2.04 ERA, gave a strong performance in the second game of the 1965 World Series. But when he left in the seventh inning, the Dodgers trailed, 2-1. The Twins scored three more runs for a 5-1 victory and a two-game sweep to begin the series. Koufax achieved redemption in the fifth game, shutting out the Twins on four hits. He followed that up with a three-hit shutout in the seventh game on Oct. 14, 1965. Rod Carew wanted a raise and a longer contract. Twins General Manager Calvin Griffith wanted to send his "disgruntled" star packing to the San Francisco Giants. Each party became increasingly irritated with the other one, and on Feb. 3, 1979, the Twins shipped Carew to the California Angels in exchange for Ken Landreaux, Dave Engle, Paul Hartzell, and Brad Havens. Joining the Twins in 1967, Carew soon established himself as a Twin Cities icon. From 1969 to 1978, Carew never batted lower than .307. In 1977, he flirted with the .400 mark before settling for .388. He also hit 14 homers and drove in 100 runs, both career highs, and he was the voted the American League MVP. Carew continued to shine for the Angels, earning an All-Star berth each year through 1984. He finally retired in 1985. Meanwhile, Hartzell fizzled with the Twins, Havens won 18 and lost 28 over three seasons and Engle played 439 games. In 1983, his best year for the Twins, Englebatted .305 in 120 games with eight home runs and 43 runs batted in. Landreaux, though, paid immediate dividends. In 1979, he batted .305 with15 home runs and 83 runs batted in. In 1980, he batted .281 with seven home runs. On Mar. 31, 1981, the Twins traded Landreaux to the Los Angeles Dodgers for Mickey Hatcher, Kelly Snider, and Matt Reeves. Who knew that the raw, untapped power of David Ortiz would bloom in Boston? "Papi" was strictly a Twins' afterthought. They sent Dave Hollins to Seattle and they received Ortiz on Sept. 13, 1996, to complete the trade. In five-plus seasons with the Twins, Ortiz succeeded in shedding the dreaded Player-to-be-Named-Later tag, but he didn't show signs of superstardom, either. In 2002, he enjoyed his finest season for the Twins, hitting 20 home runs and driving in 75 runs. The Twins released him on Dec. 16, 2002. The Boston Red Sox picked him and well, you know the rest. From 2004-2007, Ortiz averaged 43 home runs and 135 runs batted in, leading all players in the latter category over the four-year period. In 2006, Ortiz established a franchise record of 54 home runs. Oh, yes, Ortiz helped bring the Red Sox two world championships. Justin Morneau said it best. "It's going to hurt for a while and it's going to be a long night for sure." The topsy-turvy American League Central Division boiled down to a 163rd game on Sept. 30, 2008, after the White Sox and Twins finished the regular season with identical records. Nick Blackburn got the call for the Twins and pitched a gem. His only mistake was a seventh-inning home run he served up to Jim Thome. However, it was defense that carried the day. Ken Griffey Jr. prevented the Twins from scoring the first run of the game when he threw out Michael Cuddyer at home in the fifth inning. White Sox outfielder Brian Anderson added to the White Sox' defensive heroics by robbing Alexi Casillaof a hit in the ninth inning. The Twins lost Torii Hunter and Johan Santana before the start of the 2008 season. This meant, in many baseball observers' eyes, that it would be a lost season for the Twins. Instead, they nearly pulled off a miracle with a crop of inexperienced players like Carlos Gomez and Denard Span in the everyday lineup. Kirby Puckett, in direct contrast to his physical stature, made a huge impact on and off the field. In recognition of his on-the-field exploits, Puckett was elected to the Hall-of-Fame in his first year of eligibility in 2001. The outpouring of emotion when people learned of his death, at the age of 45, on Mar. 6, 2006, bespoke of his influence beyond the playing field. 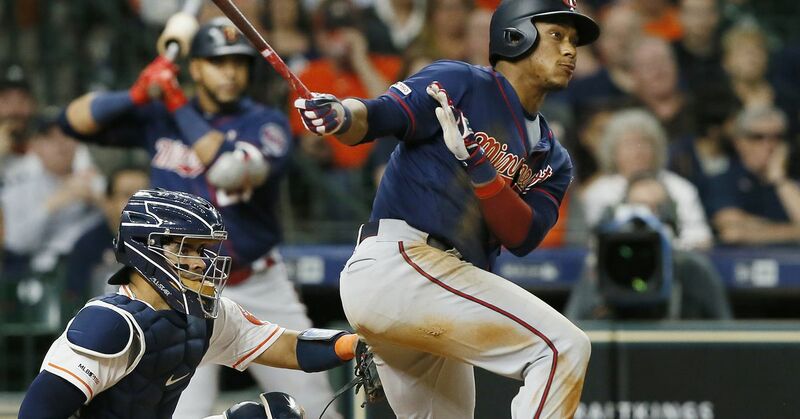 "This is a sad day for the Minnesota Twins, Major League Baseball and baseball fans everywhere," Twins owner Carl Pohlad said in a statement. "Eloise and I loved Kirby deeply. Kirby's impact on the Twins organization, the state of Minnesota and Upper Midwest is significant and goes well beyond his role in helping the Twins win two world championships." "He was revered throughout the country and will be remembered wherever the game is played," commissioner Bud Selig said. During his 12-year career, Puckett won six Gold Gloves, appeared in 10 All-Star games, and led the Twins to World Series victories in 1987 and 1991. He finished with a career .318 batting average. Puckett also provided Twins' fans with two of the most indelible moments in the franchise's history. Coincidentally, they happened in the same game. Puckett made a leaping catch against the fence to prevent an extra-base hit in Game Six of the 1991 World Series against the Atlanta Braves. In the 11th inning, he hit a game-winning home run to force a seventh game which the Twins won for their second world championship in five years.